My maternal grandmother died when I was a toddler. A few months later my mom wrote an essay about her and won a contest sponsored by the Pittsburgh Post-Gazette. My Uncle Steve has the essay framed in his house (and carries extra copies in his glove box; apparently it comes up in conversation with strangers enough that he likes to keep a stash on hand). He recently gave me a copy to keep, and my mom gave me permission to re-post her essay here. Her title was “Those Pittsburgh women” and she never knew why the editors changed it. At any rate, you can click here to read the whole thing. I sometimes imagine those women, that busload of middle-aged, hardworking women, whizzing down the Boulevard of the Allies at eight in the morning. When I see one of them up close — waiting on me at an Eat ‘n Park or behind the counter at a dry cleaner — I fall apart. Those Pittsburgh women. When my mother died one Saturday in November, did the women on the bus wonder where she was? By now, have they figured it out? I used to hate these Pittsburgh women. When I was 12 I decided I was not going to be one of them. I would not have four children under the age of six by the time I was 25. I would not wear dusters, hang laundry on a line six days a week, have to scream my way into a moment’s peace. I would not do it. I would not be like my mother, my aunts, my grandmothers, my friends’ mothers. I would not do it. Wherever did I find such audacity? Her name was Betty. She was 56. 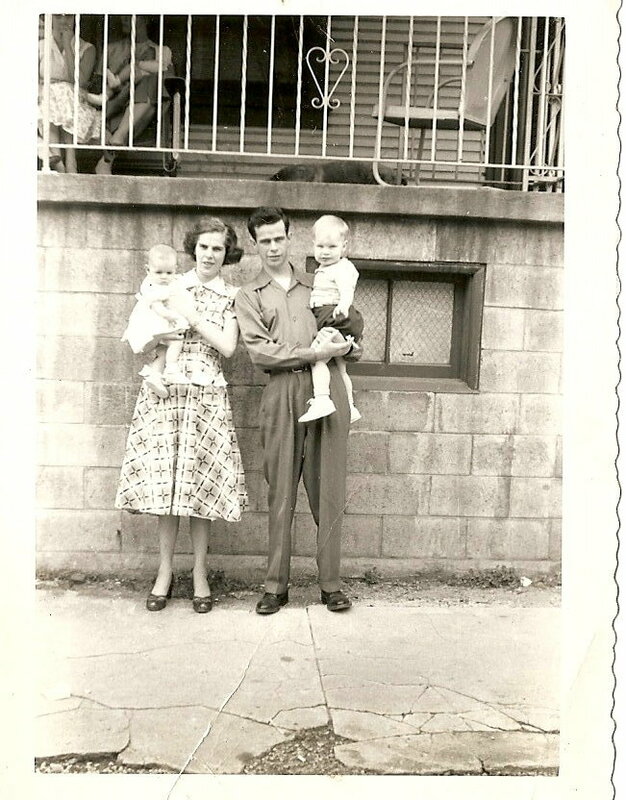 She had seven kids and a husband named Joe and she worked making sandwiches at the Tic-Toc Shoppe in Kaufmann’s. She got up every morning at five and did a couple loads of laundry. She cleaned her entire house every Wednesday, her day off, and every Sunday she went to her mother’s house and played cards with her family. She went to Bingo Friday nights and sometimes Sunday nights. She missed being a millionaire in the lottery by one digit, shrugged and said she guessed God hadn’t meant her to be rich. She never went to church. She chain-smoked and ate poorly. She bought little for herself but spent lavishly at Christmas. She had the most beautiful hands — work-worn, never still. It was her hands I said good-bye to at McCabe’s Funeral Home. My mom would have been amazed by her funeral. She would have told half the people there not to come: “Oh, don’t bother. You worked hard all day.” Hundreds did come, though, so many that mourners in adjacent parlors thought we were partying. It was weirdly joyous, having this mix of people come together for us — old neighbors, co-workers, distant cousins, my friends and those of my brothers and sisters mingling with the friends of my parents. I was so moved by how responsive people were, how reliable and familiar. Women my mother’s age came unpretentiously, offering flowers, Mass cards, casseroles and cakes to bring to the house. Those my age, perhaps just becoming aware of their role on such occasions, managed the wake and watched our children. In the three days Mom was laid out, the faces of women I’ve known all my life floated before me in the crowded, flower-bordered room as if in a dream. Yes, Mom, I can. If I hadn’t known at 12 how burdened you felt by all that was required of you, I wouldn’t have needed to rebel, or been so patronizing. Now that I’m 34 with a couple of kids and a household to run, I see how strongly I inherited her sense of duty and fear of failure. What she instilled in me that sometimes wears me out is balanced by my acceptance, finally, that her life was joyous. When I feel myself becoming preoccupied by money or overwhelmed by children’s demands, I hear all her credos: “Why worry about it? You’ll die in debt anyway”; “They’ll be grown before you know it”; “Your family is there no matter what.” I get back on the bus, fare in hand. Last weekend, my cousin, a Garfield girl, wore her mother’s wedding gown to marry her Lawrenceville boyfriend. In celebration we danced the hokey-pokey, the Pennsylvania polka, the bird dance. When the band struck up the hully-gully, for the first time in years, I watched. I never before realized what a female rite the hully-gully is, especially for women of my mother’s generation. There was Aggie Brose and Aunt Rita and Mary Goodrich and all those other Pittsburgh women in their 50s leading the younger women in this intricate, repetitive dance. Watching them, missing my mother, I realized what it was I’d always done wrong, which piece of the dance it is that causes the daughters to stumble behind their mothers. A subtle little kick and a sideways glide: it makes all the difference in the world. If you’ve been thinking about parents and loss, as I have been a lot lately, you might also appreciate Cheryl Strayed’s essay The Love of My Life, published in 1992. Thanks to Elissa B. and Annetastic for sharing that one with me on Friday. Photo: From the family archives. This entry was posted in People, Places, Required Reading and tagged family, personal. Bookmark the permalink. The Cheryl Strayed essay is simply devastating. Your mom’s essay is beautiful. I love this essay. Thanks to your mom for writing it, and to you for sharing it. Thanks, friends. It means a lot to know you read and enjoyed it. What an insightful tribute to hard-working, stoic, resourceful women. I remember picking my mother up from the factory she worked at when I was in high school. The bell rang and the women poured out of the building, lighting cigarettes, getting into cars as fast as they could.